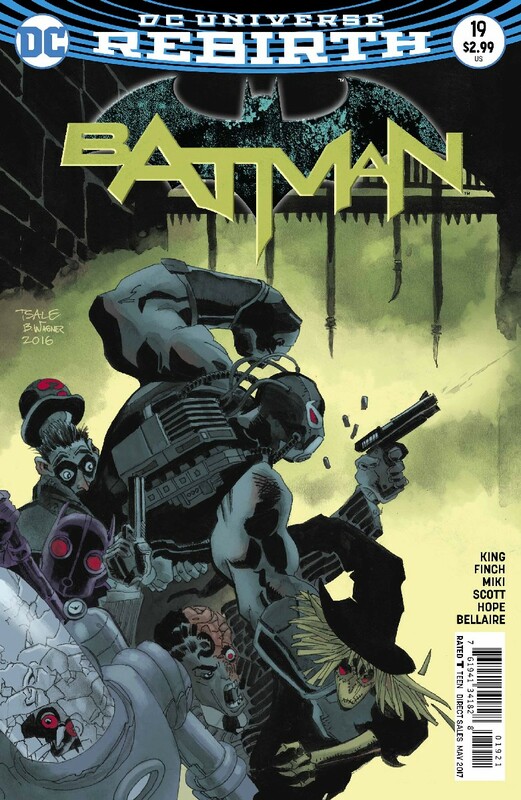 While not as memorable as the previous issue, Batman #19 provides enough thrills and action to set-up one last battle between the Bat and Bane. I wouldn’t have wanted to be in Tom King’s shoes after the last issue. After delivering a gargantuan of a book, whatever followed it would always pale in comparison. 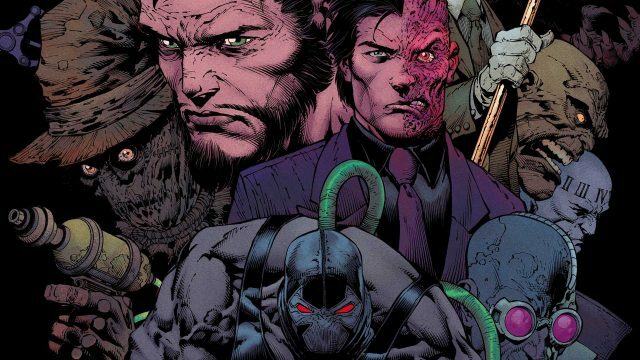 In many ways, this is true of Batman #19, which isn’t quite as memorable as its predecessor; however, it does give us something else we crave: villains. Lots and lots of villains. 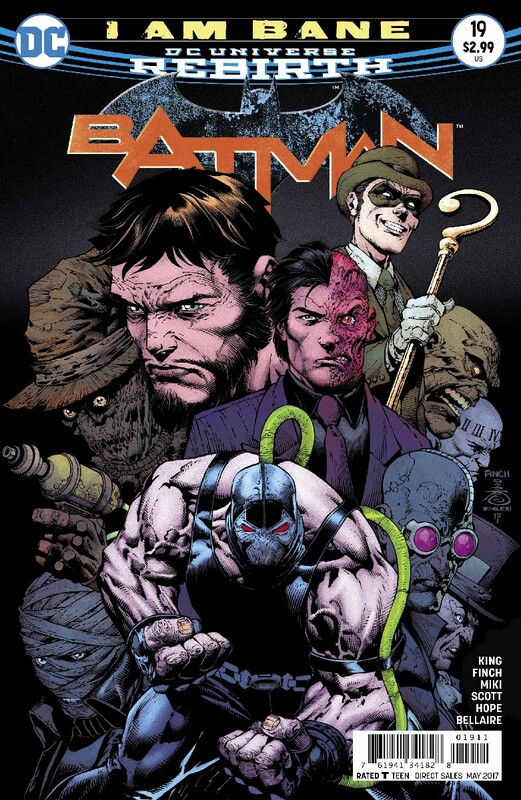 With Batman licking his wounds, the story revolves around Bane as he makes his way through Arkham Asylum, beating everyone in his path as he searches for his adversary and Psycho-Pirate. Now, get this: the Caped Crusader’s the one who let the inmates out and armed them to battle the Venom-addicted monster. How insane is that? As expected, the villains all fall as the Dark Knight prepares for one last rumble in the Arkham jungle with the beast. 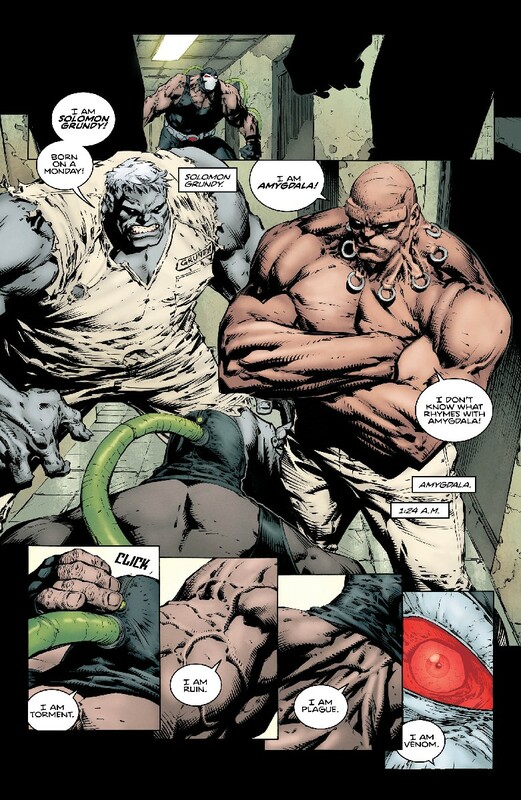 While the previous issues have shown us Bane’s brain, King unleashes all the brawn and power here. Turning the Santa Prisca native into DC’s own Juggernaut, he steamrolls through everything in his path with maximum carnage. He’s terrifying and unstoppable – not even Scarecrow’s fear toxin has any effect on him, nor Solomon Grundy’s brute strength. 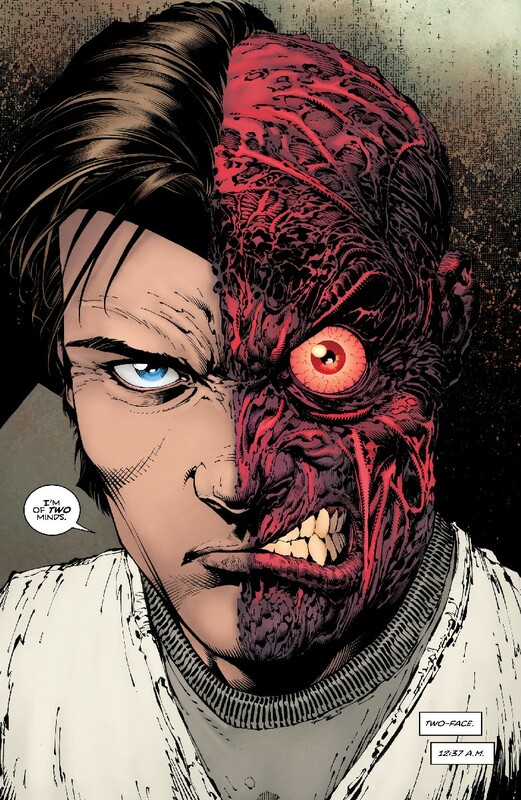 This is something I’ve appreciated about the “I Am Bane” arc, as it builds up the antagonist in every aspect to be the perfect foe for Batman. 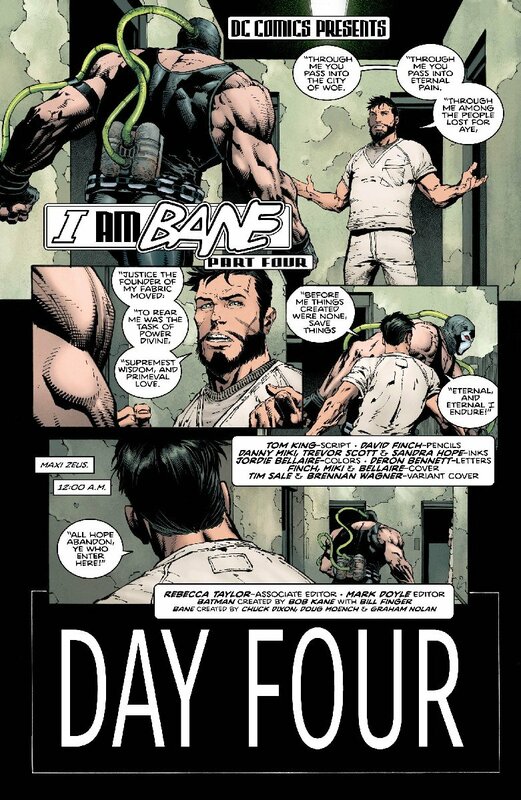 The Joker might be the most iconic of the rogues’ gallery, but Bane’s only rivaled by Ra’s al Ghul as the most formidable. King’s story has already succeeded in elevating this villain to an even higher level of credibility. Once more, David Finch’s art is on point. Batman’s sweet spot remains dark and gritty, and Finch exploits this on each page, showing off the thrills, chills and blood spills. It’s obvious he has a field day with the array of villains he got to pencil, and he’s brought his A-game here. This will be one of those books you’ll flip through numerous times just to enjoy the artwork over and over again. 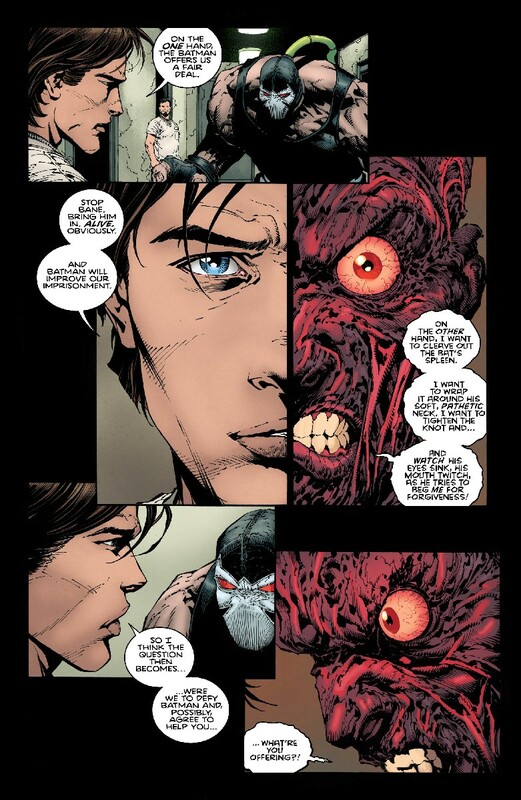 The small gripe with believability aside, Batman #19 unleashes another solid chapter in the “I Am Bane” saga. 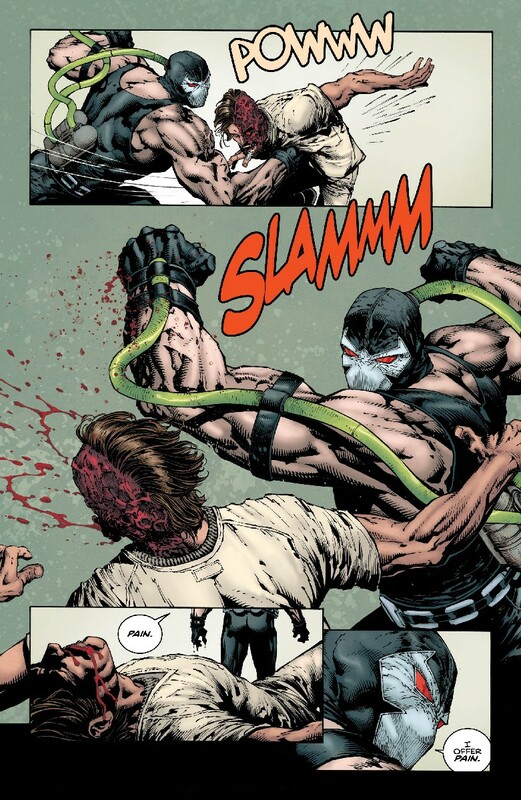 Bane’s taken a licking and the Bat’s bruised and battered, but this final showdown will leave only one of them standing. If it’s anything like their last encounter, we’re in for a visual treat from Finch.